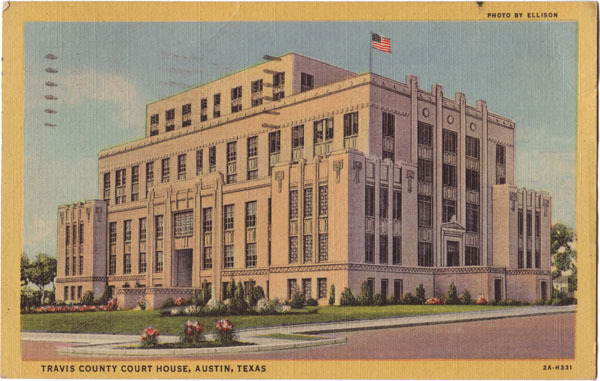 Text on Back: TRAVIS COUNTRY COURT HOUSE – one of the most complete structures of its kind in the country. Cost $1,000,000. Built of beautiful Travertine stone from Travis and adjoining counties. Houses all county government offices, with jail on top. Seven stories.